We're creeping our way slowly into my favorite part of the year-the holiday season. Today kicks off the beginning of three posts per week as we gear up for Thanksgiving and Christmas content because I can't wait to give y'all help as you complete your Christmas shopping lists. I consistently got over 50,000 each week in October-sometimes going up into the 70,000 step range! My sister took some outfit photos for me on our trip to the Pumpkin Patch and then I took another set of photos on Halloween that I'll be sharing this month. 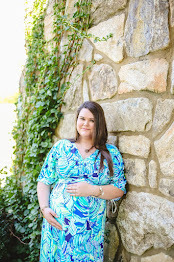 I'm loving sharing my outfit creations with y'all & hope y'all are loving it as much as I am. I'll count this as half-done. I'm so excited that I've checked this off of my list. I'm hoping the next step will be staining our concrete downstairs, but that's a bigger job that I won't be able to tackle by myself. As of today, right this second, I'm sitting at 944 followers on Instagram, which is incredibly close to my goal. At one point this month I did hit 950, but with people following just to unfollow I lost that. I'm working on posting diligently & interacting and engaging so I get real followers that actually care-like you! If you aren't following Southern & Style on Instagram, will you do it? I share super cute pictures of my pup, Forrest (like this one) sometimes! and I'm hoping to get them in the end of this week or next. I've got a post coming up where I'm going to share them so I can't wait to do that. I've been trying to do this for months, but November is the month where I really like to kick it into high gear because I like to fully enjoy the month of December without rushing around to pick up last minute gifts. Also, I think it's more special if you put thought into gifts & don't just run to the store and pick something out because you feel obligated to purchase a gift. This is the holiday season & there is so much I want to share with y'all...gift guides, sales, party outfit inspiration, etc. but I also want to keep up my Ten on Tuesday posts so the only option was adding in another day for posts! Don't worry, you'll still see life+style type posts as well with my book reviews, outfit posts, and more! Whether it be dessert or a side dish, I want to try my hand at something new this year! I'm really wanting to do it this weekend, but my husband isn't a fan of Christmas before Thanksgiving-so I might have to wait until the day after Thanksgiving! Well, I think that's enough to challenge me for this month...let me know below what your goals are for the month of November! Ah good luck on your Instagram goal girl!! IG is so frustrating these days but it's always better to have real followers than bought ones! :) I want to do Christmas cards this month too! Great goals! And ugh aren't those follow-unfollow Instagram trolls the worst? These are great goals for November! I'm actually working on both a Thanksgiving sides and a desserts post so I've got you covered there haha! 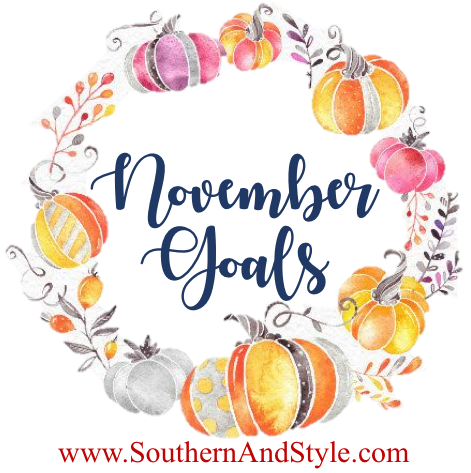 Such great goals for November, I need to start making my Christmas cookies. I love these goals! I've got so much on my to-do list for this month!! Sounds like an exciting month ahead!! I really want to get our Christmas shopping started too because December is busy enough as it is! !